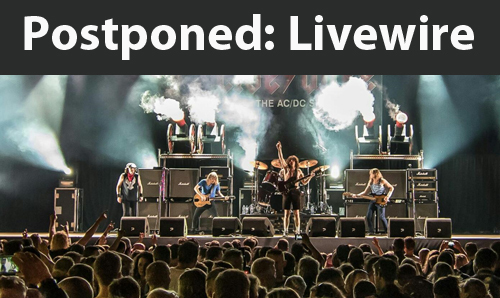 It is with regret that tonights performance, 02 Feb 2019 – 20:00 @ Arlington Arts Centre Livewire the AC/DC show has had to be postponed as although access to the site is achievable, we feel we cannot confidently guarantee that we could move a sell-out capacity safely around the site once here. We have a new date for the performance: Friday 24 May. We will be dealing with the refund requests next week and hopefully have news on the new date shortly.